Charlena E. Jackson, B.S., M.S., M.H.A, use a positive attitude to encourage people to put up a good fight for justice for bullied children. 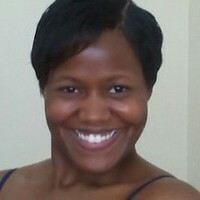 She is currently working on her Ph.D. in Healthcare Administration. She is a well-respected inspirational speaker and the author of No Cross-No Crown: Trust God Through the Battle; Teachers Just Don't Understand Bullying Hurts; and I'm Speaking Up But You're Not Listening. She and her three children reside in Atlanta, Georgia, where she is a university professor. In her spare time, she loves to read, rollerskate, cycle, write, and travel. To ask Charlena E. Jackson questions, please sign up. That is a good question- How do I deal with writer's block? I would take a break from writing to clear my mind. I will either take a stroll in the park, meditate, listen to music or rest. I always keep a pen and paper handy-- just in case something comes to mind :). Charlena E. Jackson The best thing about being a writer is-- I can get lost in the world I am creating. When writing a nonfiction book I can look at the situation in the…moreThe best thing about being a writer is-- I can get lost in the world I am creating. When writing a nonfiction book I can look at the situation in the "present" which of course was created from the past; and think to myself what an adventure!! Nonfiction writing helps me to live and learn from the mistakes that were made. Writing nonfiction or fiction open my eyes to embrace the world I lived in and living in at the moment. The best thing about being a writer is getting lost in the words that comes to reality. I’m Speaking Up but You’re Not Listening! Children should be living carefree lives and always smiling – laughing, filled with peace and harmony; not worrying about the troubles of what tomorrow may bring. Janice wrote: "Thank you for friending me. Have a blessed day." You are more than welcome! Thank you so kindly for always supporting my books, liking my quotes and post!! I truly appreciate it!! Thank you for friending me. Have a blessed day. Happy New Year to you as well to you and your family!! Actually, I do love classics!! One of my fav's-- The Catcher in The Rye by: J. D Salinger! Oh and, To Kill a Mockingbird by Haper Lee. I also like The Call of the Wild by Jack London! I have so many fav classics!! I also love Anne of Green Gables!! How about you-- what are some of your fav classics? Lesle wrote: "Thank you Charlena for the friend request! Do you enjoy Classics? Happy New Year and hope your Holidays were wonderful! Thank you Charlena for the friend request! Do you enjoy Classics? Happy belated Thanksgiving!! I hope you had a wonderful Thanksgiving!! I too am glad we are friends on Goodreads. Yes, ma'am my children keeps me busy, not to mention writing, activities and my career. However, I thank God for the strength He gives me. I see that you are pretty busy yourself with 4 grown children, 6 grandchildren, and 3 great grandchildren. I'm sure they are such a joy! Donna, it is a blessing having such an abundance family! I am glad to have you as a friend on Goodreads. Looks to be you have a busy life and 3 children to keep you on your toes as well. Glad to meet you here. You and your family have a Happy T..."
Glad to meet you here. You and your family have a Happy Thanksgiving. Thank you kindly for accepting my invite. I am looking forward to chatting as well! I love it! Happy Reading to you too!! Thanks for the friend invite. I look forward to chatting about books with you.